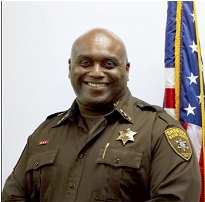 The Office of Macon County Sheriff serves our community with a highly motivated, professional staff of individuals who strive to treat everyone with respect and courtesy. 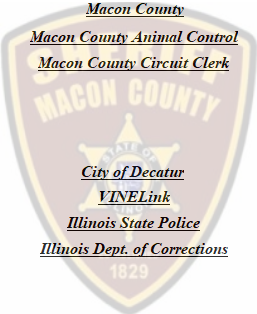 We work to create a safe environment for Macon County residents and visitors by preserving the peace and enforcing the laws. The men and women of the MCSO also volunteer their time and skills through community service to ensure that Macon County will be a better place to live for everyone. We are always working to do better for the people of Macon County. 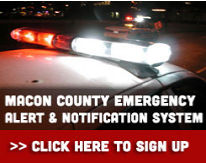 Providing the citizens of Macon County with effective and efficient public safety services since 1829. We will perform our duties with the utmost character, competence, honesty, and transparency. Click here to learn more about your Lieutenants. This progress report provides a statistical snapshot of the MCSO and the full range of activities we engage in to protect the public. 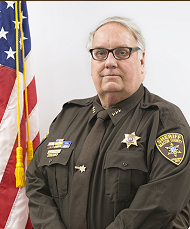 For the first time, we have assembled in one place a wide range of information-presented in charts, graphs and tables-that documents the MCSO's work over the past decade.